Credit: Please be in touch if this would like to be used. "The enigma of the Mona Lisa can be resolved by a simple medical diagnosis of a hypothyroidism-related illness. In many ways, it is the allure of the imperfections of disease that give this masterpiece its mysterious reality and charm," writes Mandeep R. Mehra, MD, medical director of the Heart & Vascular Center at Brigham and Women's Hospital. WHO Mandeep R. Mehra, MD, co-author, medical director of the Heart & Vascular Center at Brigham and Women's Hospital. WHAT In a Letter to the Editor, Mandeep R. Mehra, MD, and his co-author, summarized the possible medical conditions visible in the portrait of Lisa Gherardini, the woman pictured in Leonardo da Vinci's Mona Lisa, and proposed his own interpretations. In 2004, rheumatologists and endocrinologists suggested that skin lesions and hand swellings visible in the portrait may be indicative of a lipid disorder and heart disease. Specifically, the researchers asserted that familial hyperlipidemia and premature atherosclerosis could have caused Lisa Gherardini's death. 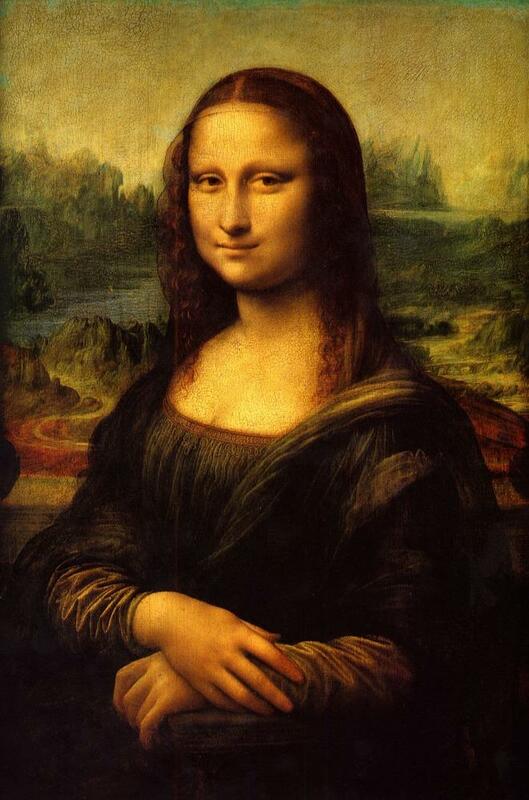 They also proposed that Mona Lisa's famous smile may have been the result of Bell's palsy. After examining the painting, Mehra explained that clinical hypothyroidism is a more likely diagnosis given that Lisa Gherardini lived to be 63. Had she suffered from heart disease and a lipid disorder, it's unlikely she would have lived to such an advanced age given the limited treatments available in 16th century Italy. Mehra cited the Mona Lisa's thinning hair, yellow skin, and possible goiter as visual evidence of hypothyroidism. The diet of Italians during the Renaissance was lacking in iodine, and resulting goiters (swollen thyroid gland) were commonly depicted in paintings and sculptures of the era. Additionally, Mehra noted that Lisa Gherardini gave birth shortly before sitting for the portrait, which indicates the possibility of peripartum thyroiditis (inflammation of the thyroid after pregnancy).